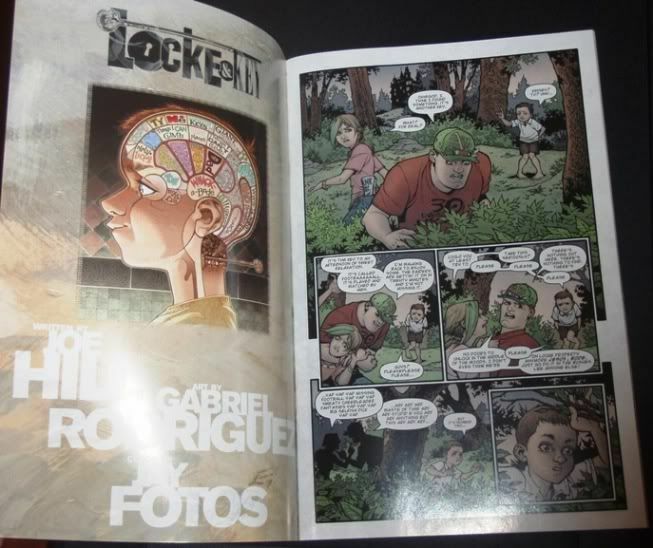 IDW First Decade Locke & Key story? 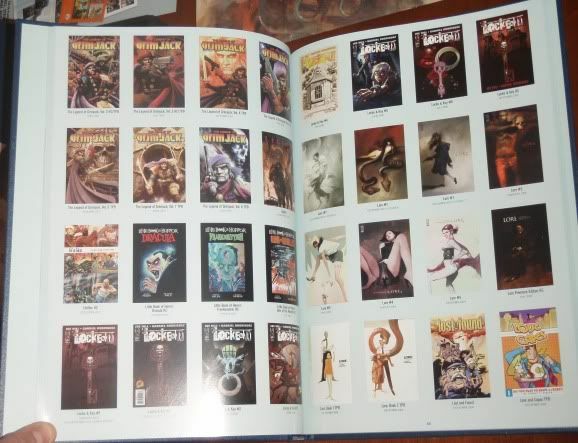 Does anyone know if the Locke & Key story that was included in the comic book that came with the IDW-the First Decade book is going to be (or has been) reprinted anywhere? It was a short, 6 page, self-contained story by Joe and Gabriel. I looked in the forum, but didn't see anything about it. Any info would be appreciated! 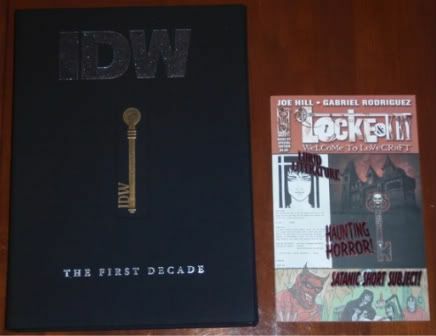 Re: IDW First Decade Locke & Key story? 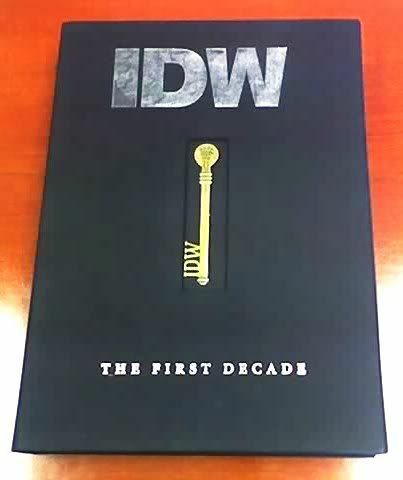 There are currently no plans to reprint the 5-page story from the IDW First Decade book, but it's always possible it'll turn up as a bonus in one of the future L&K hardcovers. Thanks for the info Joe! I got a chance to read a copy; it was a fun story, and it would be nice to have it included somewhere. Wow...how did I NOT hear about this????? Betsy_Boo wrote: Wow...how did I NOT hear about this????? The book is a very nice two-volume hardcover in a traycase along with the included comic with Joe's story and stories from other IDW authors and artists. The Locke & Key story shows the location of another Key, rather humorously. 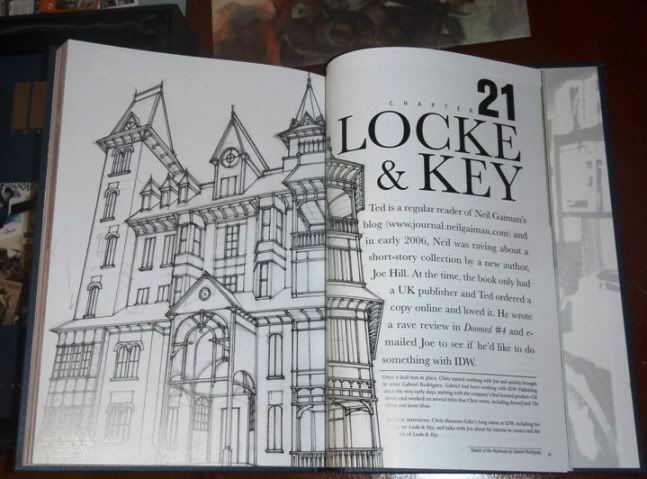 In addition to the short Locke & Key story, there are interviews with Joe and Gabriel in the book itself, in a chapter that covers the Locke & Key series. Joe and Gabe also signed the book on an included signature page. My copy just arrived today! Nice production for only $48. Signed by Joe and others, as discussed upthread. I love the short L&K story, Joe. 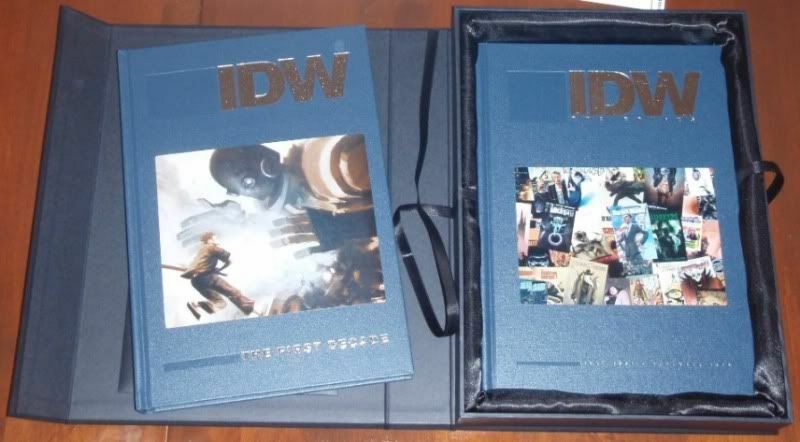 Personally I'd just as soon it stay special to the IDW traycased celebration of their first decade. They made it 10 years, let 'em keep it unique. The open traycase. 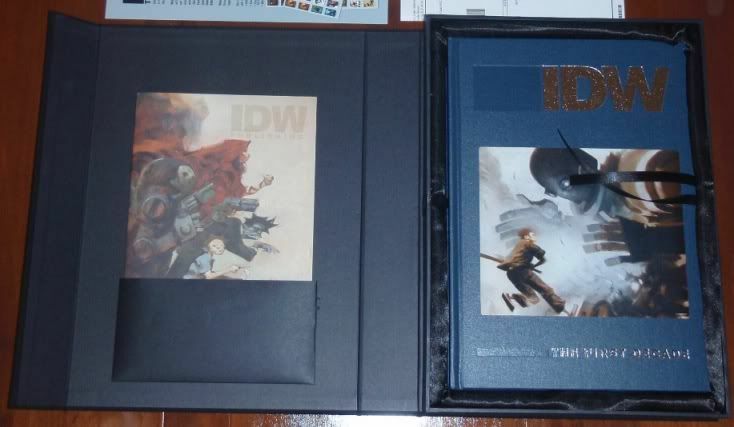 In the pocket on the left is a comic book with short stories from various IDW titles produced especially for this tenth anniversary limited edition. The book on the right hand side is the "meat" of the traycased package. 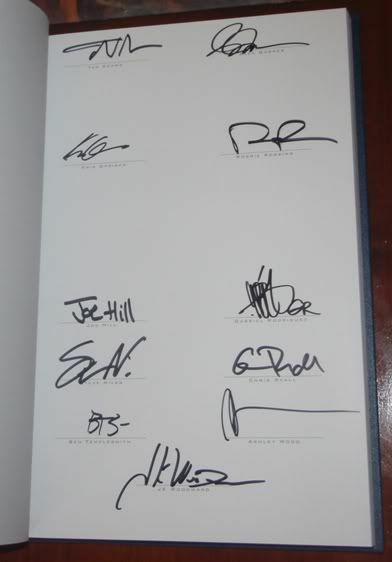 Limitation page is signed by Joe Hill and artist Gabriel Rodriquez, as well as others associated with IDW. The book contains interviews and articles about IDW and its various properties over the past decade. It includes separate interviews with both Gabriel Rodriquez and Joe Hill. Meanwhile, hidden behind that first book in the traycase: a second book. The second book presents color reproductions of all the covers of all that IDW has published in its first decade. Overall, this is a wonderful presentation and an outstanding value for the price, even without the limitation page. The Hill and Rodriquez signatures are simply icing on the cake. SO, the one thats 47 at amazon is the signed one isnt it? demorganakamark wrote: SO, the one thats 47 at amazon is the signed one isnt it? Yes. I bought mine, as pictured above, on Amazon. Under $50 including shipping. An amazing bargain. That it is, that it is. Im surprised that I didnt know about this sooner. Thanks for sharing that P. It's as close as I'll get to it. I recently had to max out the credit card so no extras for me beyond the signed HG. If anyone's still interested this is still available at Amazon. Damn. How did I miss this?